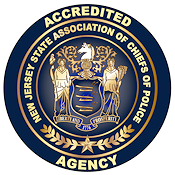 On Friday, August 10, 2018, at approximately 4:41 pm, officers from the Manchester Township Police Department responded to the intersection of Route 571 and Ridgeway Boulevard, in the Ridgeway Section of the Township, to investigate a motor vehicle accident involving two motorcycles. Upon arrival, officers observed two motorcycles, a Kawasaki Ninja and a Harley Davidson, lying on their sides in the roadway. 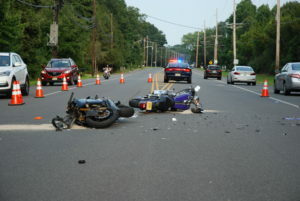 Additionally, both motorcycle operators had been ejected from their bikes and were also lying in the roadway. Both operators sustained significant injuries and were taken to a local trauma center for treatment. The investigation revealed that the Harley Davidson was traveling west on Route 571 behind a vehicle that was slowing down to make a right turn onto Ridgeway Boulevard. As the vehicle started to turn, the Harley Davidson continued west and collided with the Kawasaki which was attempting to make a left turn from Ridgeway Boulevard onto Route 571. The collision caused both of the operators to be ejected from their motorcycles and thrown to the roadway. The driver of the Harley Davidson, 49-year-old, Kevin Zodl of Fords, sustained significant head injuries while the driver of the Kawasaki, 51-year-old, Jeffery Saliski of Manchester, sustained serious wrist and head injuries. Both were taken to Jersey Shore University Medical Center in Neptune for treatment. As of late Friday evening, both drivers were listed in stable condition. The roadway was detoured for several hours while emergency workers tended to the injured, and while officers conducted the investigation. Assisting at the scene were members of both the Manchester and Ridgeway Volunteer Fire Departments, as well as EMTs from both Quality Medical Transport and Manchester Volunteer First Aid. Also assisting were paramedics and medical personnel from MONOC. This crash is being investigated by Sergeant Antonio Ellis and Patrolman Ian Bole of the Department’s Traffic Safety Unit.